Nissan is re-working its fleet proposition, with a view to making itself simpler for businesses of all sizes to engage with its range of cars and vans, according to recently-appointed fleet director, Iker Lazzari. 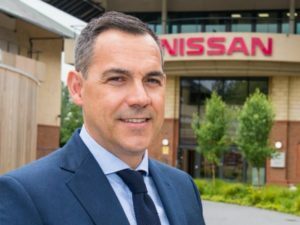 Lazzari, who joined the brand in June after 18 years at the Volkswagen Group, sees Nissan being able to offer a broad proposition for fleets; a wide choice of cars, commercial vehicles and technologies, plus Nissan Finance products to develop suitable funding packages. Work is now underway to develop relationships with leasing companies, specifically those with a large corporate focus, aiming to grow volumes and enrich its ‘true fleet’ mix. But, he stressed, that’s not just about sales, it’s more a case of more targeted, more frequent communication to drive awareness of the range, and understand customer needs. An online portal is due to launch later this year, offering information tailored to the user. But Lazzari’s ambitions are wider than that; Nissan is looking to develop its offer for SMEs, around stable monthly payments and package deals, and a consistently high standard of aftersales. The rental market is also vital, he said, not only as a way to drive awareness of the range, but as the foundations of its presence in the emerging mobility and car sharing market.